Today is the day bookings open for 2012 cruises with the Disney Cruise Line. Recently, the Line revealed their itineraries for 2012 and also announced the three new home ports of New York, Seattle and Galveston. eight-night Bahamas cruises that also includes a one-day Walt Disney World Park Hopper ticket plus transporation to and from the resort. five-night New England coast cruises. three special two-night cruises that are ideal for guests wanting a sample of the Disney Cruise Line. 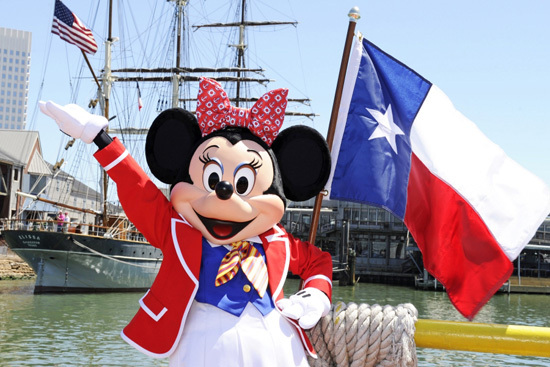 Disney Cruise Line will also offer its take on the Alaskan cruise with sailings from Seattle on the Disney Wonder beginning May 28, 2012. Cruises from Galveston start September 22, 2012 and will travel to the western Carribbean on the Disney Magic. To book a cruise or for more information, you can visit the cruise line's webiste at www.disneycruise.com or call (888) DCL-2500. Never mind on NYC, too pricey!